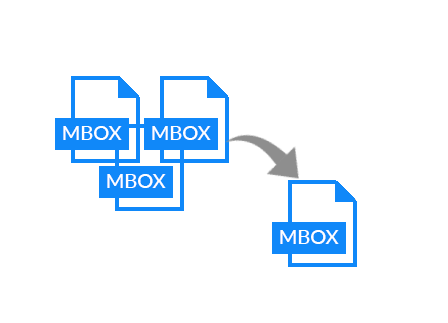 MBOX merge tool helps you to merge two (or more) MBOX mailboxes into one common MBOX file. If you have multiple archives of MBOX file, then combine MBOX files. Join Mbox files is a way to save the MBOX files without combining same named folders. If two files are Inbox1.mbox & Inbox2.mbox then both can be accessed separately by using this feature. The MBOX Merge tool has an option to remove the duplicate items from MBOX file before merging the files. Remove duplicate emails, contacts, calendar, task, etc. MBOX Merge tool provides a facility to keep the metadata of each and every email of MBOX file as it is after merging the files. You can merge all MBOX files with their attachments. Join option provides the facility to join the MBOX files and save the data with separated folders for each MBOX file. However, the merge option creates all common folders and merge all email files into their respective folders. How many MBOX files can I merge at a time? You can add any number of files according to your choice. File may be single or in bulk, you can merge as per your convenience. Can I save merged MBOX file in a new folder according to my choice? Yes, you can save your merged MBOX files anywhere on your pc according to your need. I want to combine all files which I saved on office PC and on my Laptop, but I was not able to concatenate both files at a single place. I am very grateful to the MBOX Merge application that was exactly what I need. MBOX merge is a great tool which help me a lot and suites my requirements. I was trying to merge a bulk file and I did, in some easy steps. I am very happy and thankful to the entire team of MBOX Merge.